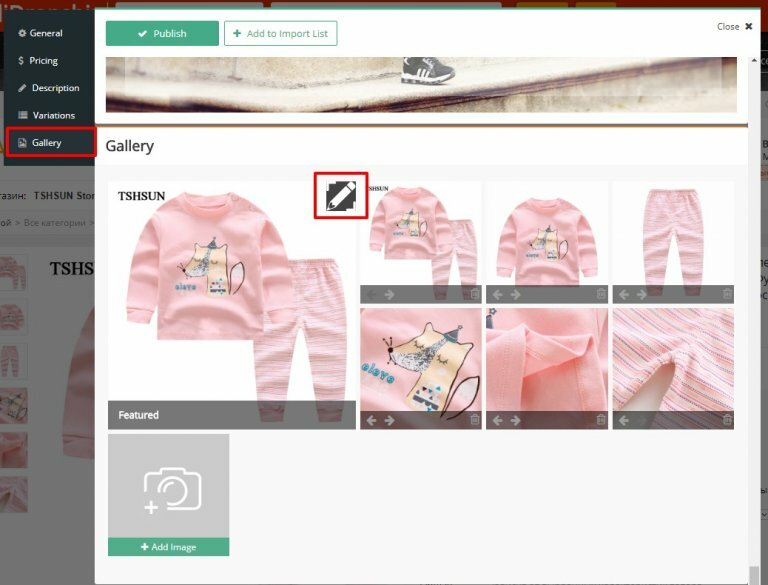 Image editor is a powerful built-in feature designed to make changes to product images in AliDropship Chrome Extension while importing items and directly from WordPress admin panel. 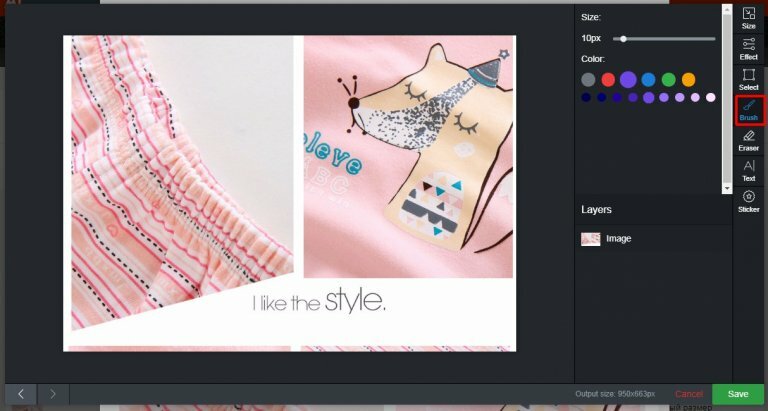 To edit images with the help of Extension when importing a product to your website, click Edit on the red Extension panel and go to Gallery. Click on the image you need to make changes to. Once you see the editor icon, click on the icon to start editing. Size. 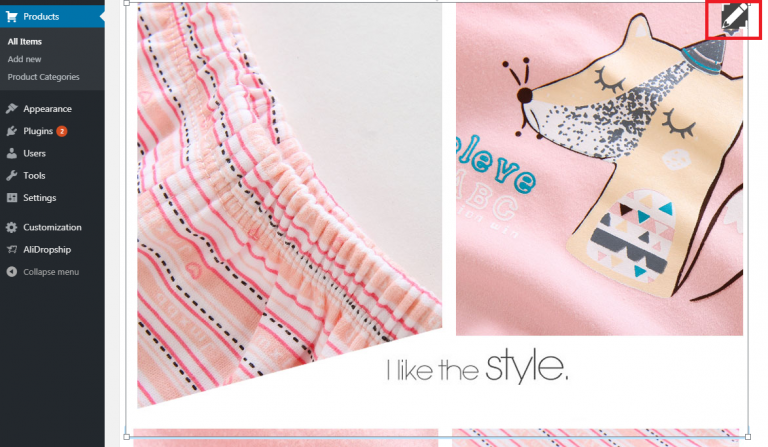 Select the preferred size for the image by choosing the option that suits your needs most. Effects. Adjust lightning (brightness, contrast, etc.) 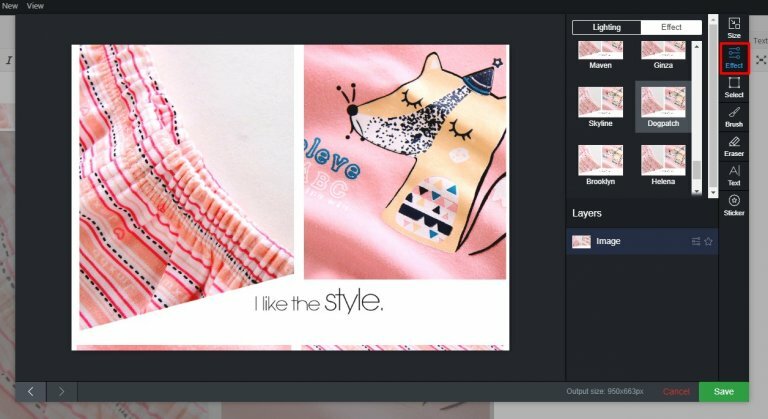 in Lightning tab and find the perfect effect for your image in Effects tab. Select. 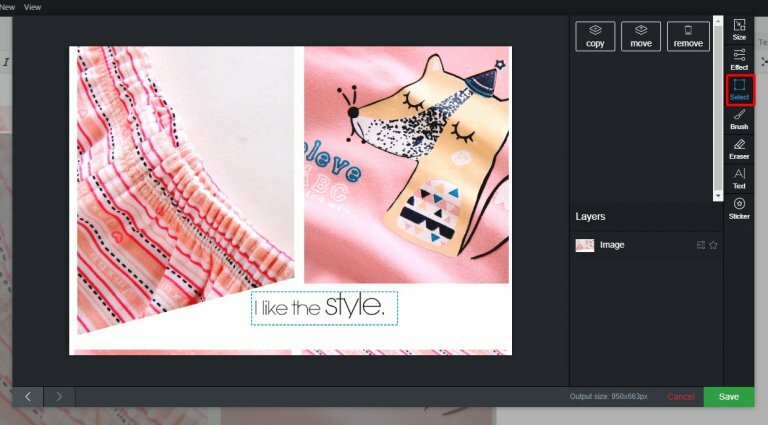 Copy, move and remove selected image areas. Brush. Choose color and size of brush to draw anything you want. Text. Type in text for the image, adjust its size, color and placement. Sticker. 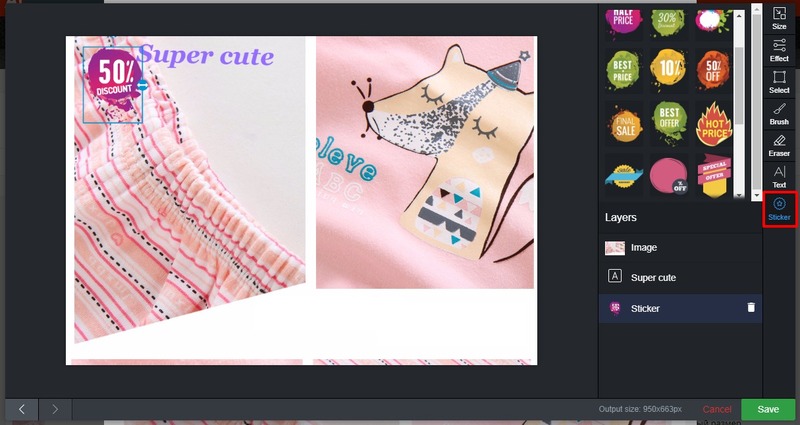 Select a sticker to add sales information about the product. 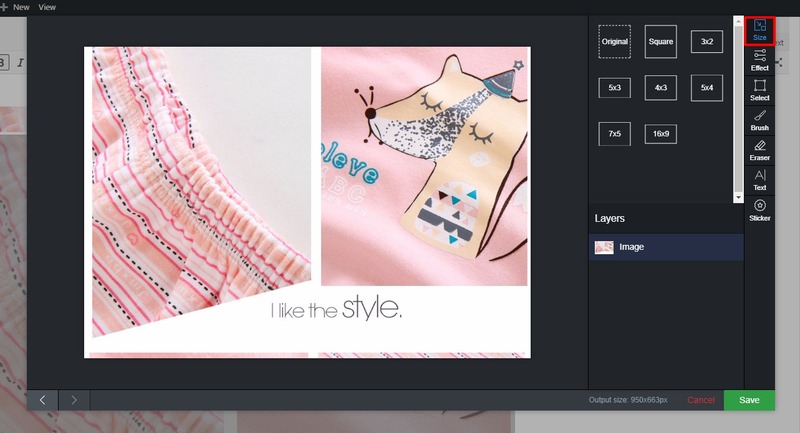 There are two types of stickers available: ready-to-use and editable. 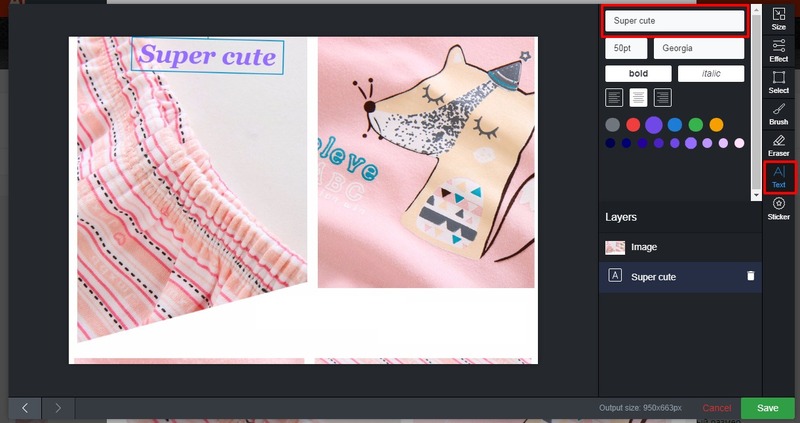 To edit images of an already imported product, go to product options and click on the image you need to alter. Click on the edit icon to start making improvements.